It’s not been a particularly happy Easter for the good people at Telegram, the popular encrypted online messenger service, after threats to block their service emerged in both Russia and Iran. As we reported in October last year, Telegram was fined in a Moscow court last year for failing to hand over their encryption keys to the country’s Federal Security Service (FSB). At the time, Telegram founder, Pavel Durov, pledged to appeal against the ruling. He duly did this, but towards the end of March, it was announced that this appeal had been dismissed by Russia’s Supreme Court. Despite the compelling case presented by Telegram that by demanding their encryption keys, the FSB was exceeding its authority, the Supreme Court has ruled otherwise. This meant that the original FSB order for Telegram to hand over their encryption keys still stood. And it was no surprise that the very same day that this ruling was announced by the Supreme Court, the FSB sent a letter to Telegram giving them a deadline of 4th April to hand over the encryption keys. With all legal avenues seemingly exhausted, if Telegram does not comply with the ruling before the deadline tomorrow, the FSB will then be able to apply for a court order to have Telegram blocked throughout Russia. However, Telegram has already replied to the FSB’s warning letter and indicated it has no intention of complying with the ruling. In a formal response, which posted on his Telegram channel by the Chairman of Russian Human Rights Agora, Pavel Chikov, Telegram explains that the demands of the FSB are ‘technically impractical’. This is because of the way Telegram stores the messages sent through their service. There are two different types of messenger transfer on Telegram. The first is known as Cloud Chats and data from these message exchanges are never stored on Telegram servers. The second type is known as Secret Chats and data from these messages is stored, but never in one place. Instead, Telegram uses an authorization key which is generated using asymmetric encryption and the Diffie-Hellman key-exchange. Because one of the two generated key parts never leaves a user’s device, it is impossible for Telegram to access it. Furthermore, Telegram updates its encryption keys regularly and any old keys are automatically destroyed. While this should be hugely reassuring for Telegram users, sadly for the FSB, it means that their demand for Telegram to hand over their encryption keys simply betrays their chronic lack of understanding for how modern encrypted messenger services actually work. Of course, the FSB is unlikely to accept this response at face value, so unless Telegram can find another legal avenue to pursue, it seems likely that Telegram will be blocked in Russia fairly soon. Russian internet users are well used to internet censorship and many will already now that any block on Telegram can be easily got around by using a VPN. Eagle-eyed readers may ask about Russia’s VPN ban, which came into force last November, but as we reported earlier this year, that has had no noticeable effect in Russia so far. And it seems that Russia may not be the only place where Telegram could soon be blocked. During an interview with the Iranian press agency MNA, Alaeddin Boroujerdi, the Chairman of Iran’s Parliament National Security and Foreign Policy Commission, appeared to confirm that the Islamic regime in Iran plans to permanently block Telegram and replace it with its own messenger service. 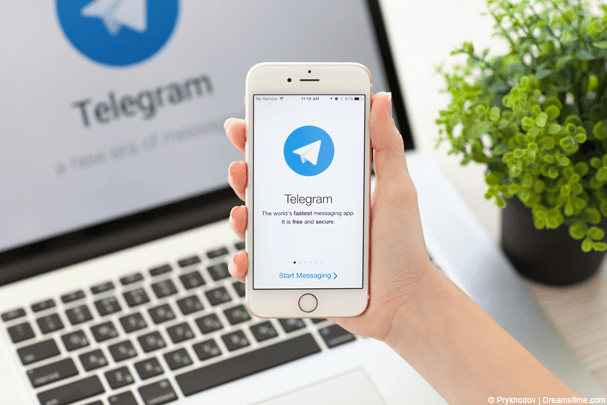 Telegram has proved to be hugely popular with young people in Iran, who have valued having a secure place where they can share their views and opinions without fears of reprisals from the country’s hardline Islamic rulers. There are an estimated 40 million people using the service in Iran and it is believed to have been used widely during the mass protests against the regime which were put down earlier in the year. At that time, Telegram was blocked in the country along with other social media sites such as Instagram, but this appeared to only be a temporary measure. The service has been available intermittently since, but Boroujerdi now appears to have confirmed that it will be blocked for good. In his interview, he said that the decision to block Telegram had been taken at the very top of the regime and when pressed for a reason for the block, opted for the old favourite of citing national security grounds. Instead, the Iranian regime plans to launch its own version of Telegram later this month. This service is likely to offer a similar, but most likely inferior, service to Telegram, but of course the Iranian regime will be able to monitor everything that people that and clamp down on those that speak out against them. That is completely contrary to the reason why most Telegram users in Iran use the service in the first place, so it will be a surprise if the new government app gets anywhere close to Telegrams usage numbers in the country. Meanwhile, VPNs can expect to see another spike in user numbers in Iran as Iranian people follow the lead of Russians and use one to get around the block and access Telegram as usual. So, it’s been a bad couple of days for Telegram overall. But providing people in Russia and Iran sign up for a reputable VPN such as ExpressVPN or IPVanish, they shouldn’t see a huge decline in user numbers in either country.